I’ll be honest – before visiting Gibraltar I didn’t know much about this little stretch of land. The only two images its name conjured up in my mind were a giant rock and a rowdy little monkey. Perhaps it is because Gibraltar isn’t actually a country (it’s a British Overseas Territory) that my knowledge of it was so limited. Regardless of the reason, I found it kind of refreshing. 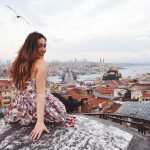 Exploring a new country with an open mind, soaking up experiences with no preconceived notions – it felt wonderful. Here is a list of everything I’ve learnt in the form of ten reasons why you should visit Gibraltar! My main reason for visiting Gibraltar were two great events – the Gibraltar Music Festival and the Gibraltar National Day. It turns out the territory is an undiscovered festival gem. 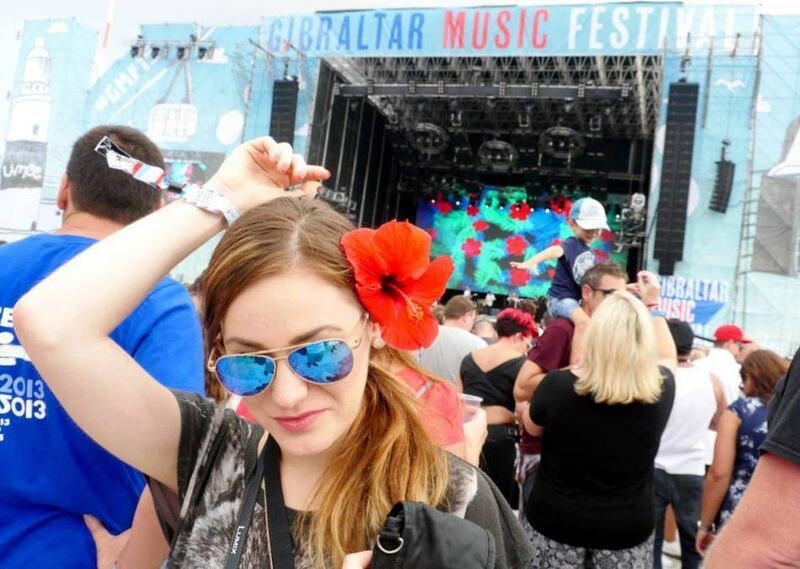 Take the Gibraltar Music Festival – it’s been going for four years and this time there were more than 10,000 party people in attendance! For just £79, you could see incredible acts like Kings of Leon, Paloma Faith, Kaiser Chiefs, Ella Henderson, James Bay and Duran Duran. Needless to say I had an incredible time! It didn’t take place in some dusty field either – the views of the Upper Rock from the main stage at Victoria Stadium were definitely Instagram-worthy. Oh, and the VIP section had unlimited food and drink which made it so worth the extra bucks! There’s a big variety of other events you could attend like the annual Polar Bear Swim (a dip in the sea at the end of December… no polar bears included!) or Calentita Food Festival in mid-June which celebrates Gibraltar’s cultural and culinary diversity. Speaking of diversity, I can’t fail to mention Gibraltar’s unique location. On a clear day you can see three countries (Spain, Morocco and Gibraltar, which is technically not a country, but still!) and two continents (Europe and Africa) from the top of the Upper Rock. 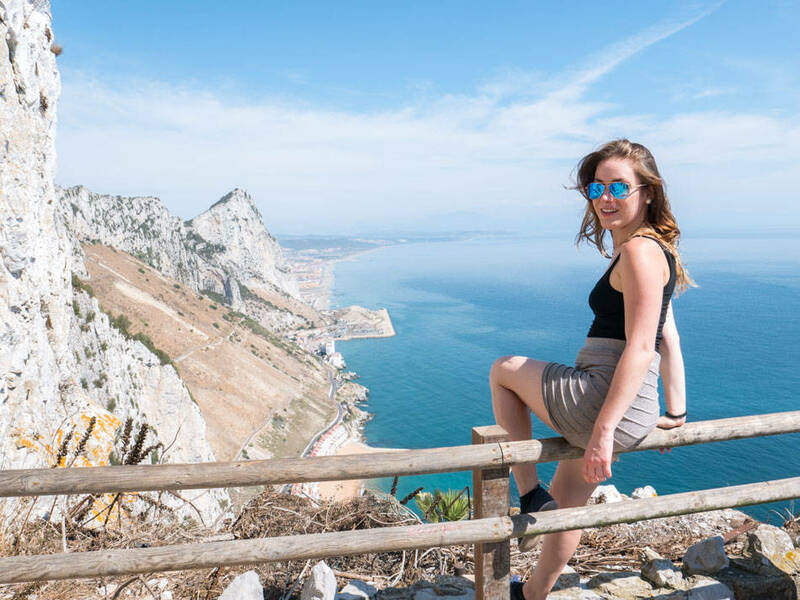 That makes Gibraltar a great starting point for further exploring – a short ferry crossing will take you to the winding souks of Morocco, a hop across the border to Spain will connect you with the rest of the mainland. 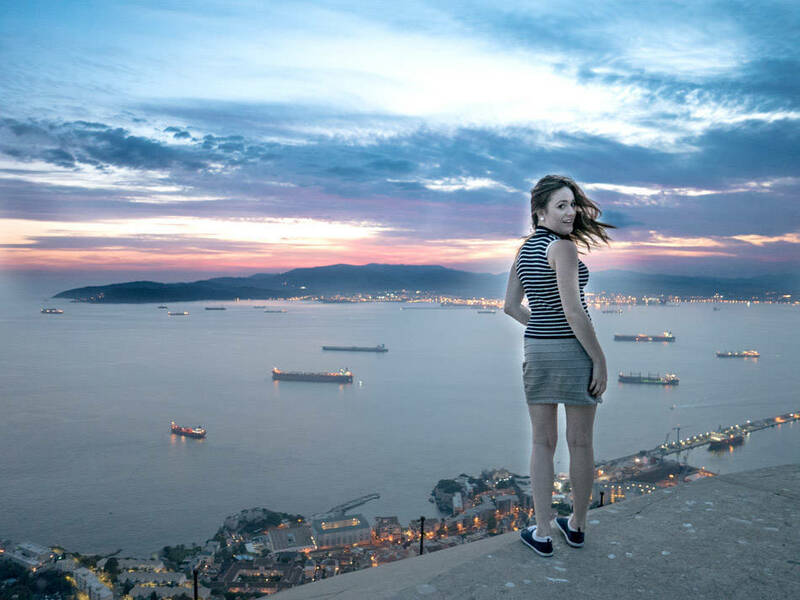 Thanks to its location Gibraltar also has some pretty spectacular sunsets – seeing the light fade across two continents at once gives you a peculiar sense of connectedness. Take a drive to the Upper Rock and just gaze across the narrow strait – if that doesn’t make you feel at least the tiniest bit philosophical I’m not sure what will. 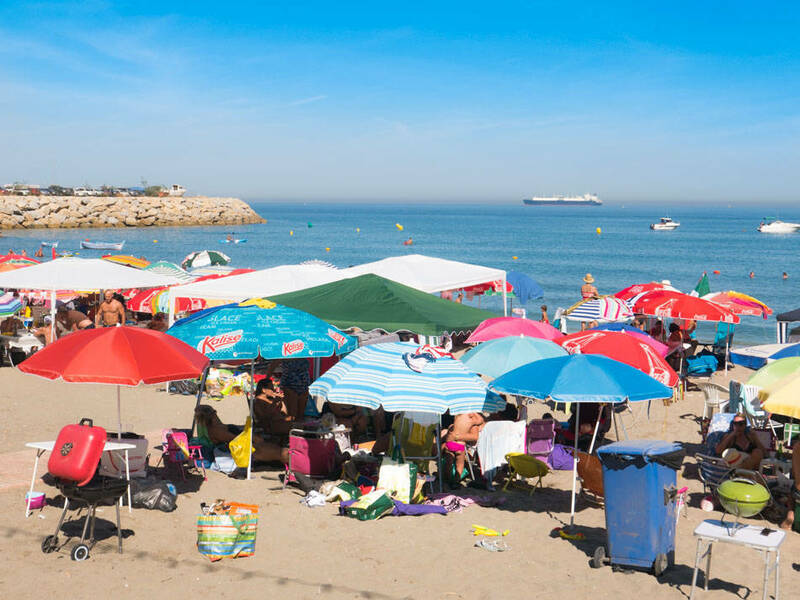 Despite being nestled just a stone’s throw away from Africa, Gibraltar can feel like a British enclave… which is precisely what it is. After being fought over by the British and Spanish for centuries, it officially decided to remain part of the UK in a sovereignty referendum on 10 September 1967. To remind themselves and the world, the locals celebrate Gibraltar National Day on that date every year. 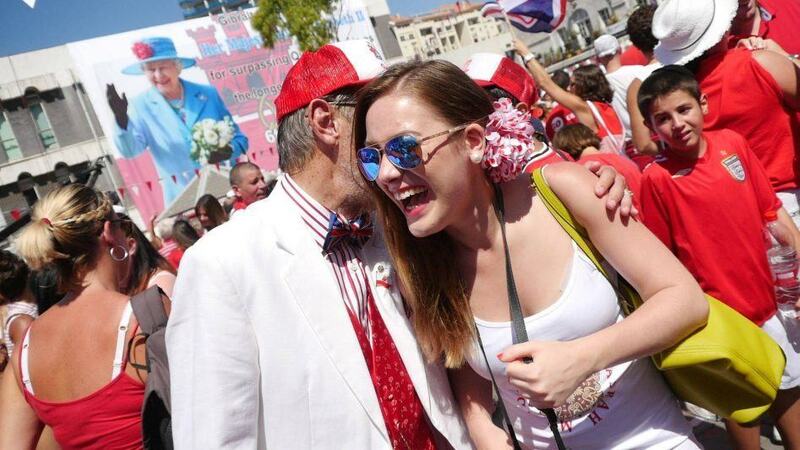 The entire city is decked out in red and white, the streets flooded with singing and dancing Gibraltarians. If you’re a fan of all things British (Queen Elizabeth II and warm-ish beer in particular), this one will be a particularly sweet treat for you. This British connection is also useful if you’re coming in from the UK, because Gibraltar’s primary currency is the pound. But don’t worry – you can use euros in all the shops as well. Plugs are European though, so pack that adaptor for your appliances. The Upper Rock Nature Reserve with its lush greenery and wild monkeys is the perfect place for a hike! For the sportier among you (a group I forced myself to join on this trip), the Mediterranean Steps are possibly the most beautiful nature trail in Gibraltar. The path was originally built by the British military and it links Martin’s Path at the foot of the Rock to Lord Airey’s Battery near its summit. It was refurbished and made safe in 2007, although I can’t vouch for things like sunstroke, scraped knees or sore calves the next day. The incredible views make the sweat fest more than worth it though – and it definitely beats the gym! Gibraltar has beaches? I don’t know why, but that information blew my mind. I knew it was right next to the sea and all, but I didn’t expect beaches to be that integral to local life. There are six of them along the shoreline and four are sandy. Eastern Beach is the largest and most popular, but I found Catalan Bay particularly picturesque. Until the nineteenth century it was populated by fishermen and it has kept a lot of its character. Be warned though – like most beaches on the island it can get very crowded in the summer! If the beaches are too crowded and the weather too hot for a proper hike, Gibraltar has the perfect indoor activity. 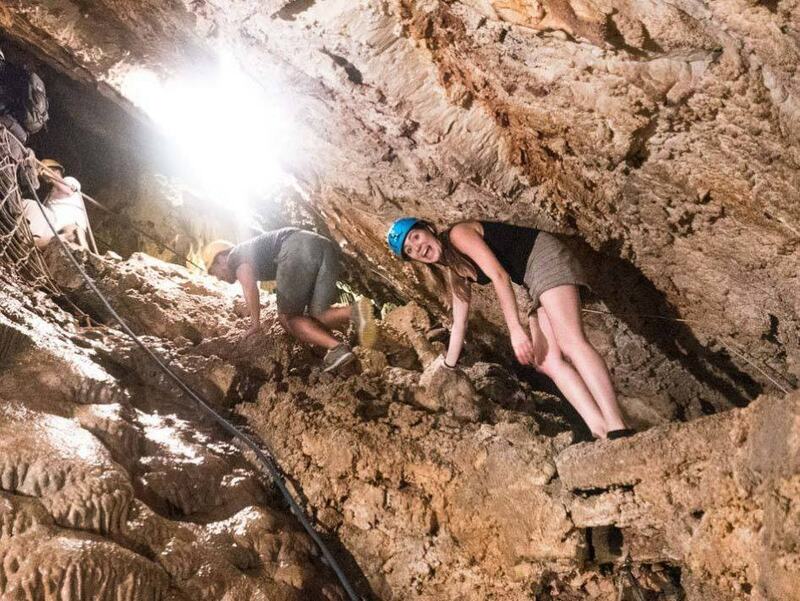 No, I’m not talking about going to the cinema – I’m talking about stepping inside the belly of St. Michael’s Cave. There are two options, depending on how adventurous you’re feeling. If you’re looking for something relatively low key, you can just waltz into the upper part of this ancient sea cave. It was first mentioned in 45CE by Roman travel writer Pomponius Melia but now it plays host to millions of tourists, a light show and lots of concerts. 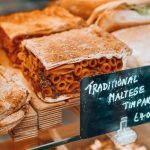 Gibraltar may not be a renowned foodie destination, but thanks to its cultural diversity there’s a huge variety of places to eat. If it’s a proper British pub you’re after you’ll be on cloud nine, but if the idea of bangers and mash in 30°C heat makes you feel a little nauseous (I don’t blame you) you have many other options. I made it my mission to seek out some of the best fresh seafood this peninsula has to offer and I was not disappointed. From tuna served on a hot lava rock at Paparazzi and langoustine linguini at Cafe Rojo to freshly caught seabass at Bianca’s, I was very pleasantly surprised. I’ll be the first to admit that few things excited me about my upcoming trip to Gibraltar as much as knowing I’d get to hang out with its resident macaques! As the only free-runnig monkeys in the whole of Europe they’re one of the territory’s biggest attractions – but that’s both a blessing and a curse. Instead of seeing these encounters as a learning opportunity, most tourists just consider them convenient photo props who sometimes steal their tuna mayo sandwiches. I don’t think I need to explain that there much more to these intelligent creatures and it would be a shame to ignore that. Local primatologist Brian Gomila holds weekly familiarisation tours for small groups during which he takes you to see the local Barbary macaques in their natural environment, right before their bedtime. You can find out more on his Facebook page – the tour was one of the main highlights of my stay, because it really helped me understand the way these little monkeys live and think. Photography tip! Are you wondering how I snapped this picture despite these two monkeying around and being unwilling models? Check out my post about 4k photography where I give you a step-by-step guide! 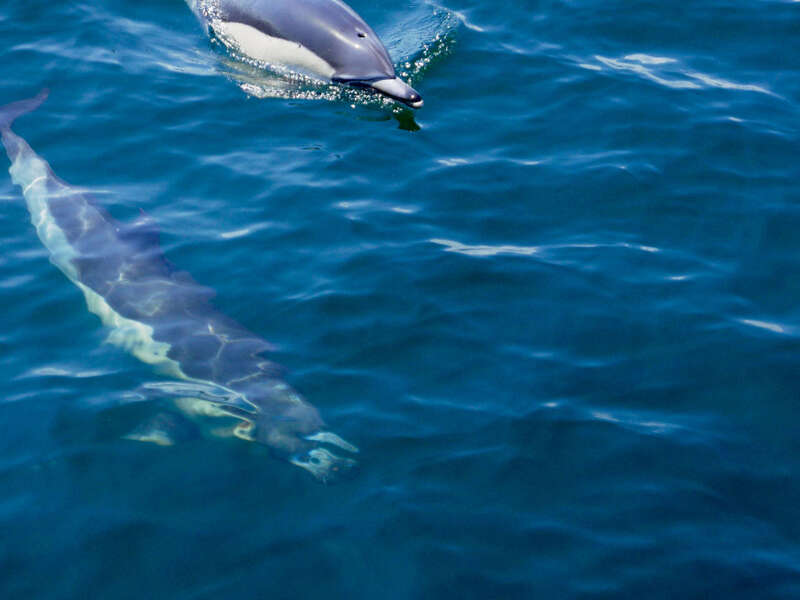 Speaking of animals in their natural environment, Gibraltar is also one of the best places in Europe for spotting wild dolphins. So after you visit the monkeys at the top of the Rock, get thee to the waters below and go meet the dolphins who live there. I booked a dolphin-watching trip with Dolphin Adventures whom I’d definitely recommend. 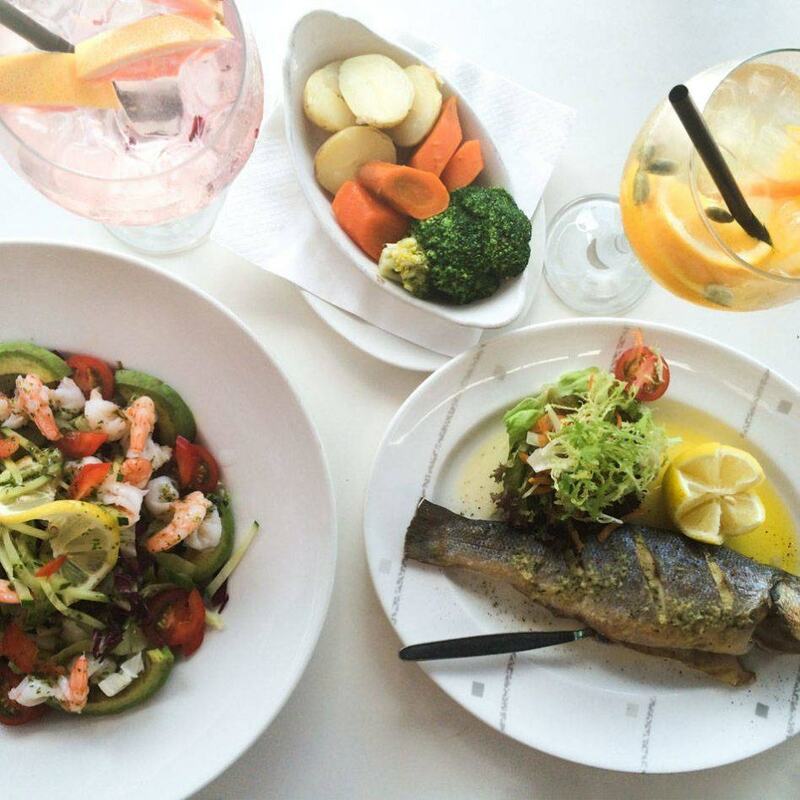 Their yellow boats depart from Marina Bay – the perfect place for a leisurely lunch by the water – and the guides on board are very knowledgeable about all things sealife. If you’re lucky, you might even see a whale, turtles or sunfish! Before you leave Gibraltar, don’t forget to go on a little shopping spree – especially at the airport which I found even cheaper than the shops in town. Why? 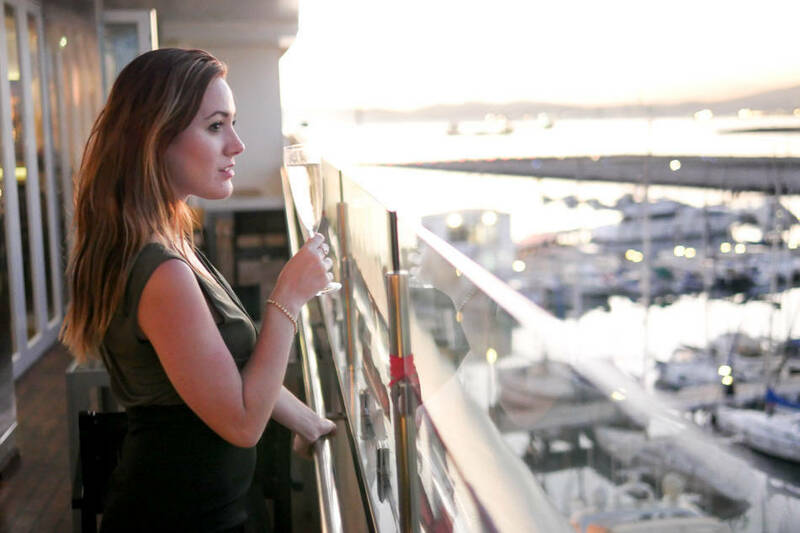 Gibraltar is a VAT free jurisdiction, which means things like makeup, perfume, jewellery or electronics can often be cheaper than in your home country. This is especially true of naughty things like alcohol, so take this opportunity to buy yourself a nice bottle of whiskey or champagne… or both! Have you ever been to Gibraltar? Did you like it and would you return? What are your top reasons why you should visit Gibraltar? I’d love to hear from you! Disclaimer: My trip to Gibraltar was made possible by Must Love Festivals and Visit Gibraltar. Some of the activities on this list were provided by the tourism board, but as always all opinions are my own. Many thanks to Stuart, Justin and the rest of the team for helping us organise everything! Photos by me and Peter Parkorr. It’s somewhere that’s been on my radar for a little while, but I had no idea there was quite so much to do! Sounds like you had a jam packed few days. Caving sounds fun, and I didn’t know there were dolphins in the area too. I love the full-on camp outs at the beach, with proper bbqs and everything! 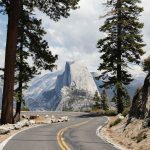 wow, this post has made me really want to go here! it’s never really been on my immediate radar but it seems to have TONS to offer! 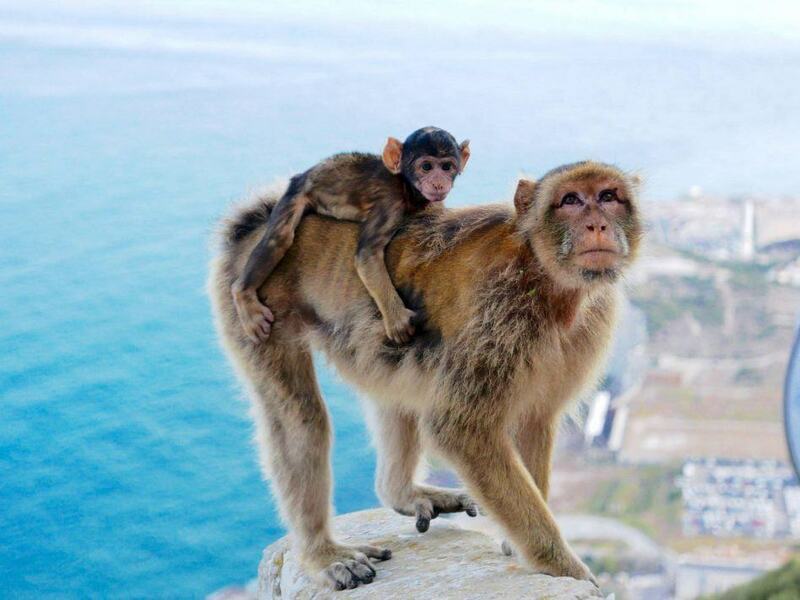 I totally had one of those macaques poo on me when I visited Gibraltar in high school! Unsuspecting me, I stood too close to the railing, one jumped on my back, I screamed… And I guess you could say I literally scared the s*** out of him. Lesson learned! Very cool place, though. I would definitely go again! Sounds like an amazing trip! How cool to be so close to everything and be able to see it! The cave looked fun, but a skirt? Haha. Looks like a really cool place and I’d love to visit! Gibraltar sounds like a fun place to visit! Plus, that picture with the monkeys is priceless 🙂 Too cute! I guarantee you won’t regret coming for ALL the above, AND MORE! We are very hospitable – even though I say it myself! It looks like a lovely place to visit! Although the monkeys are the one thing that would make me apprehensive to go! Dont provoke them and you will be fine! trust me! after all, they are wild animals and we have no control over them! Love my home town!! Nothing beats it! I was there last March and I had a great time.Great pubs,superb restaurants,(the Blue Anchor Seafood restaurant is amazing ) good shopping,fascinating history,lovely atmosphere to the whole place and some astounding views.The Bristol Hotel was incredible value and I would recommend anyone to go there for a break. Great reviews! Only thing I spotted that was wrong is the plugs – we use normal BS 3 pin plugs! Love my hometown! Proud Gibraltarian ? Despite the fact that Morrissons sells good beer the pubs are overpriced, the beer is crap and the people are generally rude, not to mention the fact that the food is also not very good. Like your review of Gibralter. I’ve never been there but have always been curious, so this gives me a good idea of what to expect. One question – would you say it’s quite touristy? Amazing photos! Gibraltar must be wonderful, hope to see it in person someday! This is my home town, so it’s nice to see someone write so positively about it! Loved the monkeys. Had the best lamb ever at a pub there.